Dear all, my name is Mr Nouy VILAISY I am from Oudomxay province in the northern part of Lao DPR. Currently I am a Risk Education Project Manager in Unexplored Ordnance sector in the Humanity and Inclusion organization. I am very happy to be selected to join this program in Japan. It’s my first time and also first program that I will be joined soon. I have never been to join any program in abroad before and I can say this time is my lucky program. I believe that this program will the best one program for me to gain more challenges and experience from other participants in different countries, with Japanese professional IATSS in the lecture room and also in the field visit I can learn and see how’s Japanese community’s people life, In the same time I will also share my work experience to among participants and also to local Japanese people know about my country’s traditional and culture. I really believe that I will learn and hunt more knowledge especially Japanese’s culture and education system as I have known Japan is the one of the highest technologies country in the world. 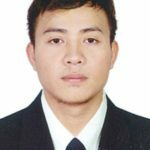 At the moment, I am a project manager especially in education field I am interested to learn and gain what’s the professional leadership on education sector and Japanese’s education system then I can adapt what’s learn from this program to change and improve my currently project in Laos to be better in the future. please let me know if you have any concerns about this.